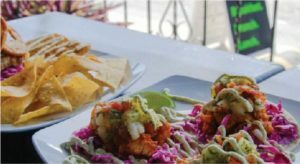 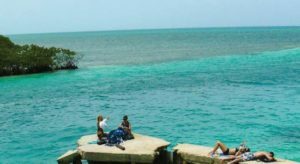 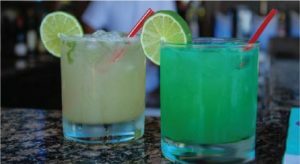 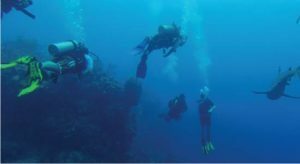 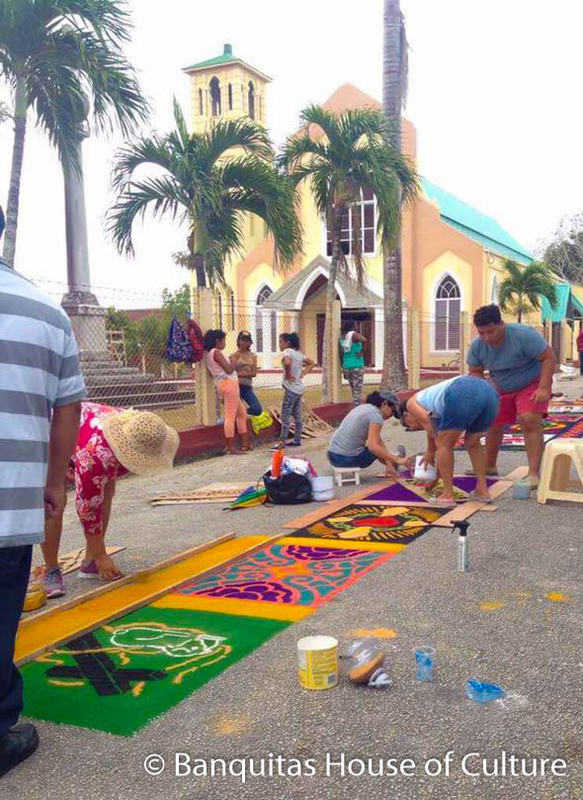 Belize is home to some very colourful traditions, and each festive holiday, Belizeans take the opportunity to express their culture in creative fashion. 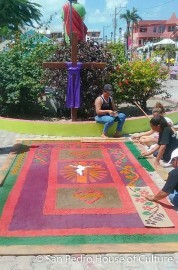 One tradition that is truly a work of art is the Easter sawdust carpets. Those who are familiar with Spanish culture or the Roman Catholic faith have probably seen or been part of this long standing Easter tradition. 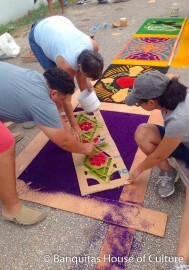 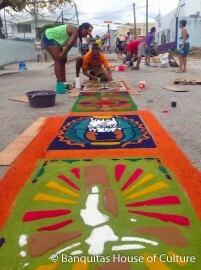 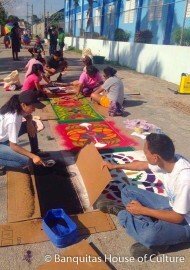 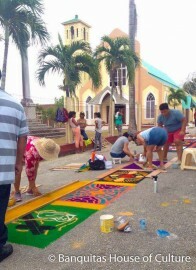 Colored sawdust is used to create decorative images on the grounds or streets near a church. 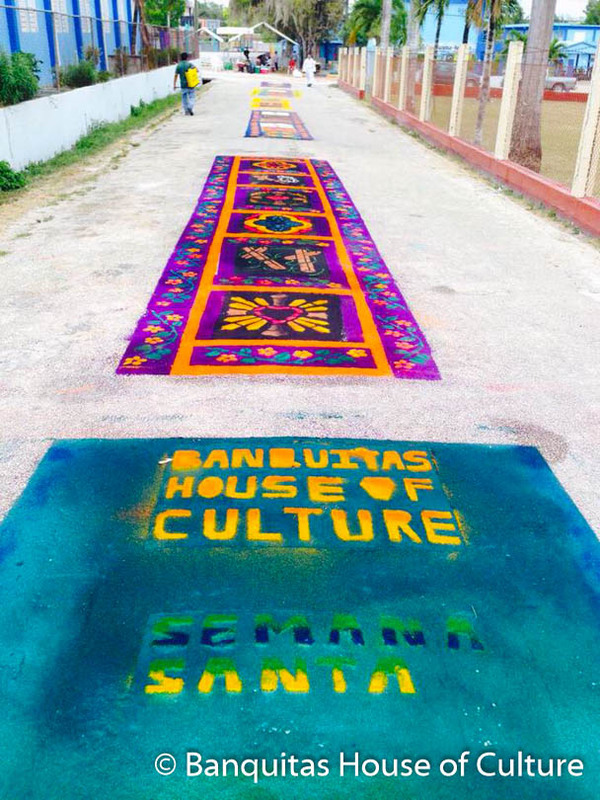 These sawdust carpets are created to greet the religious procession that takes place on Good Friday. 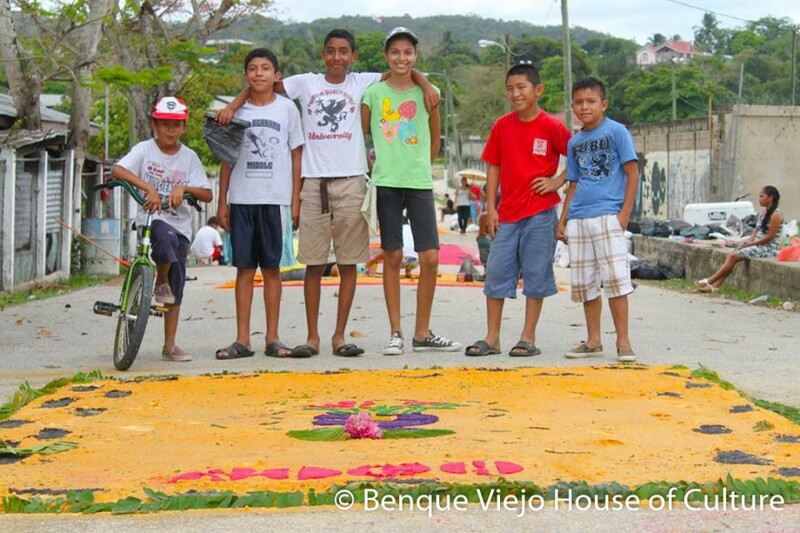 This tradition is mostly practiced in Spanish-speaking countries in North, Central and South America. 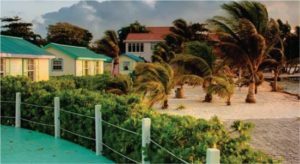 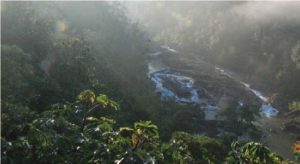 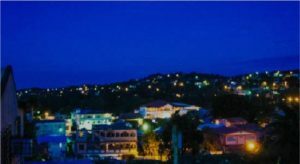 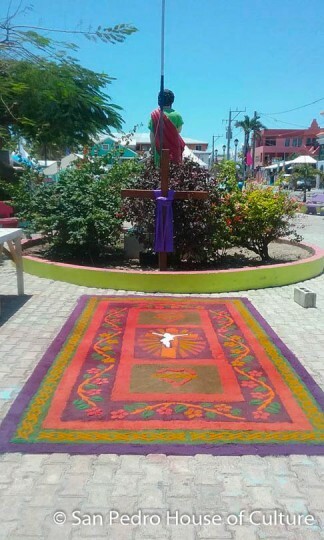 Some municipalities in Belize have faithfully held on to this religious practice as well. 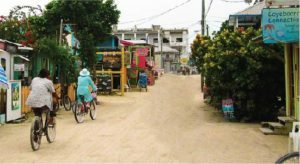 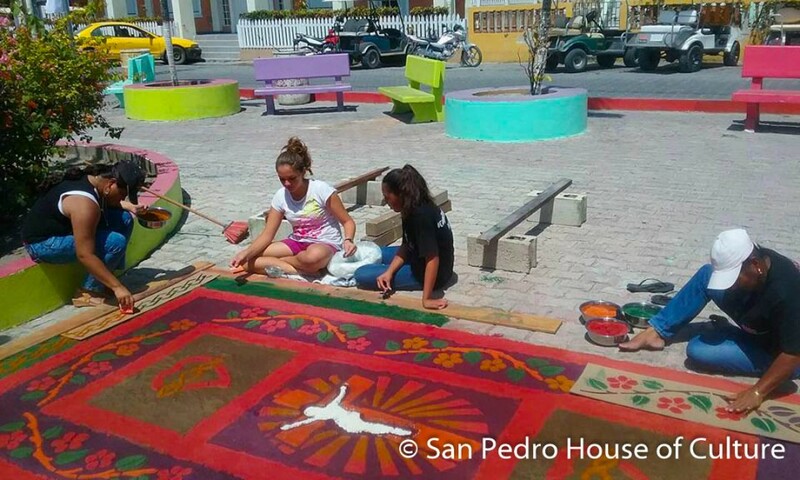 Sawdust carpets are a pretty big deal in both the towns of Orange Walk and Benque Viejo del Carmen, which have a dominant Mestizo populace. Each year, faithful parishioners gather on the streets adjacent to their town church with colored sawdust ready to create works of art. 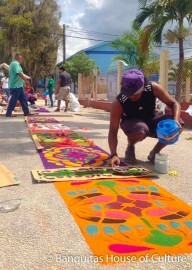 It’s not an easy task! 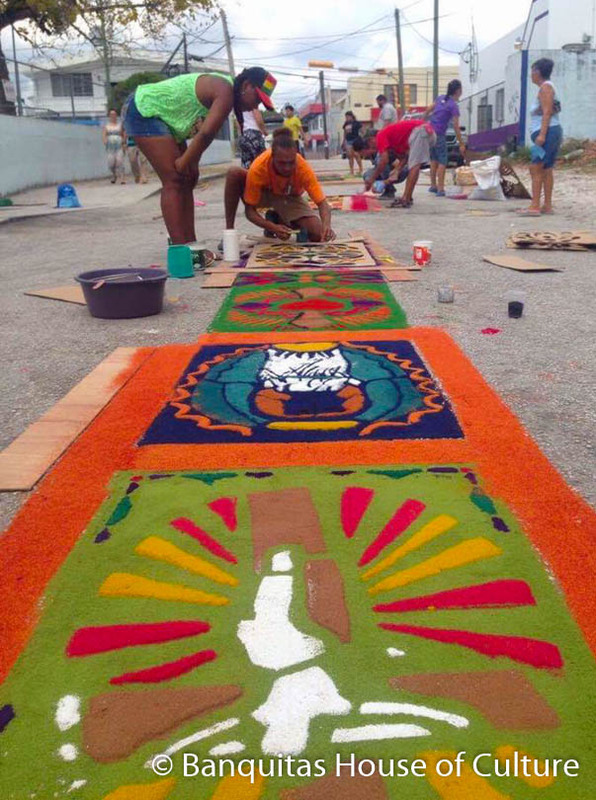 It takes weeks of prior preparation, from painting the sawdust in all colourful hues, to coming up with the designs and creating the stencils for the images. 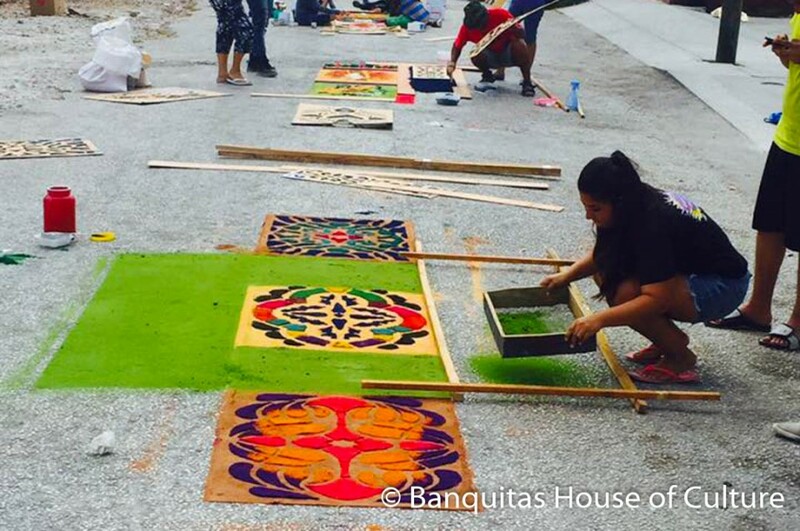 Other materials are also used in the creation of the carpets, like flower petals, pine needles, rice, fruit, soil, ashes and even shells. 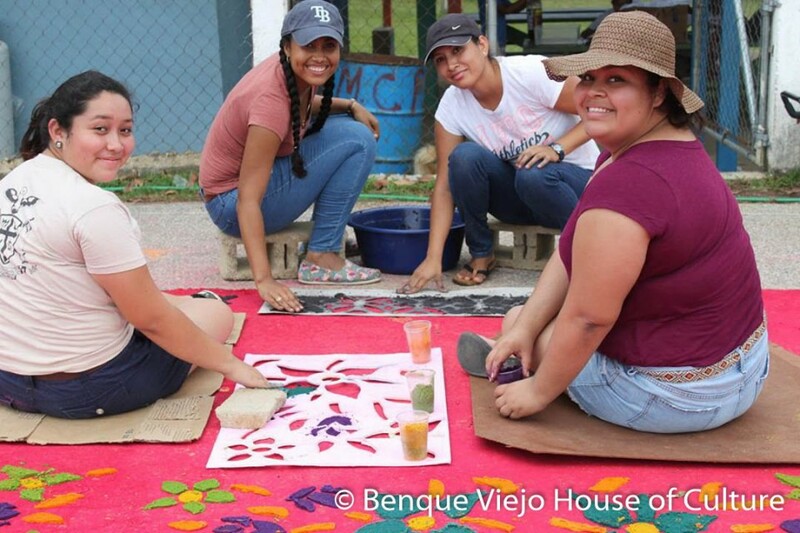 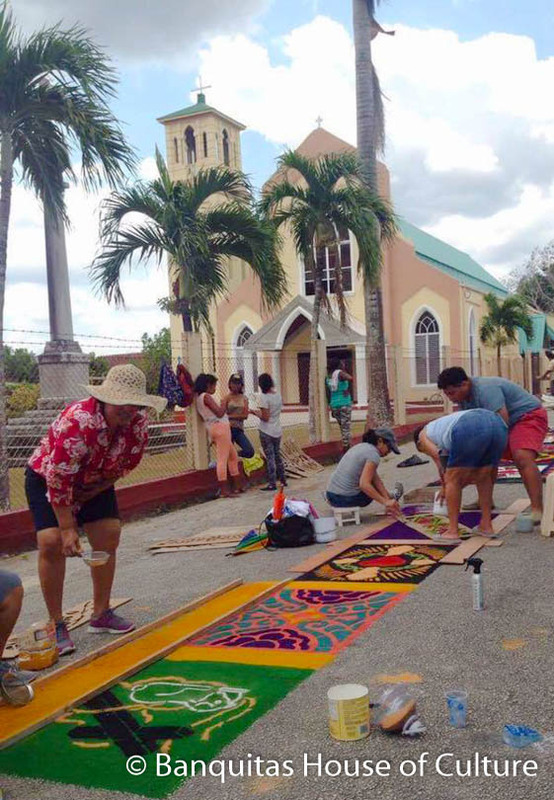 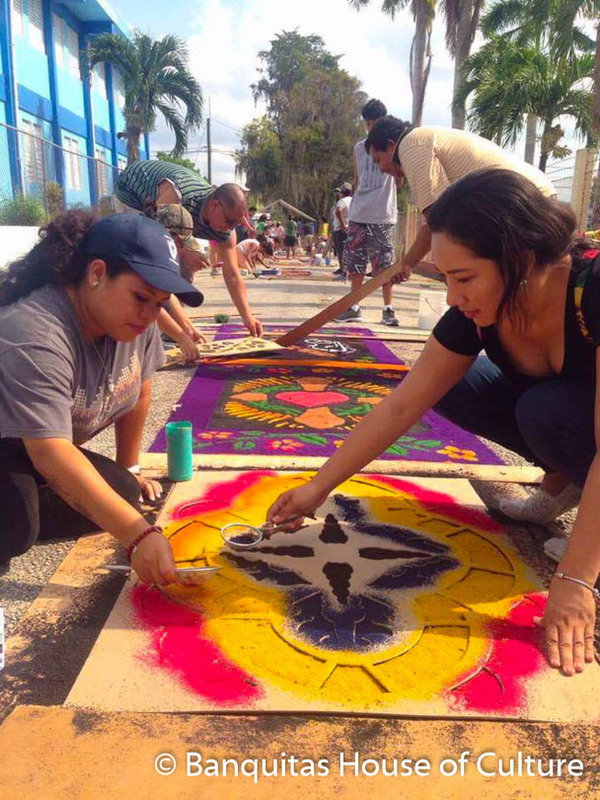 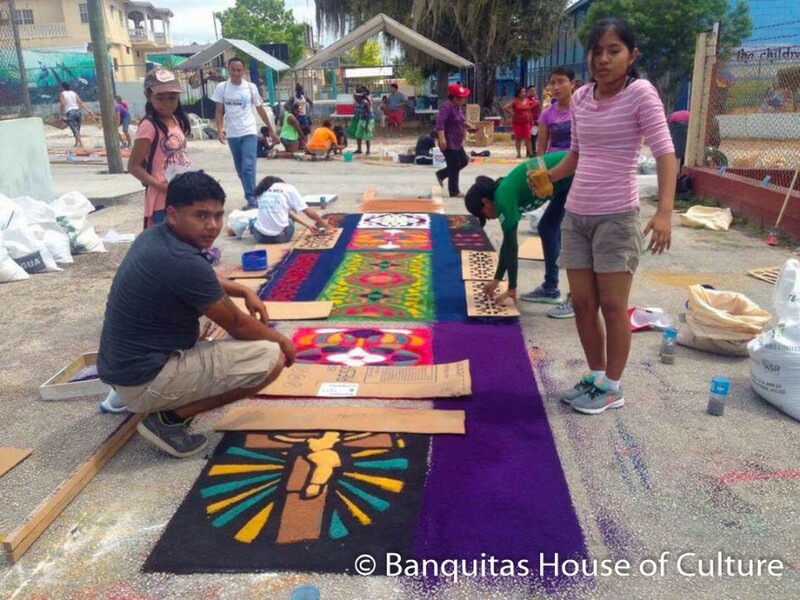 This year, even San Pedro shared in the tradition with the San Pedro House of Culture assisting in the creation of the first Easter sawdust carpet at the island’s parish! 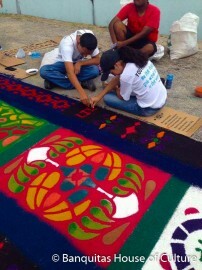 The finished carpets are truly a masterpiece that reflect a long standing cultural and religious tradition. 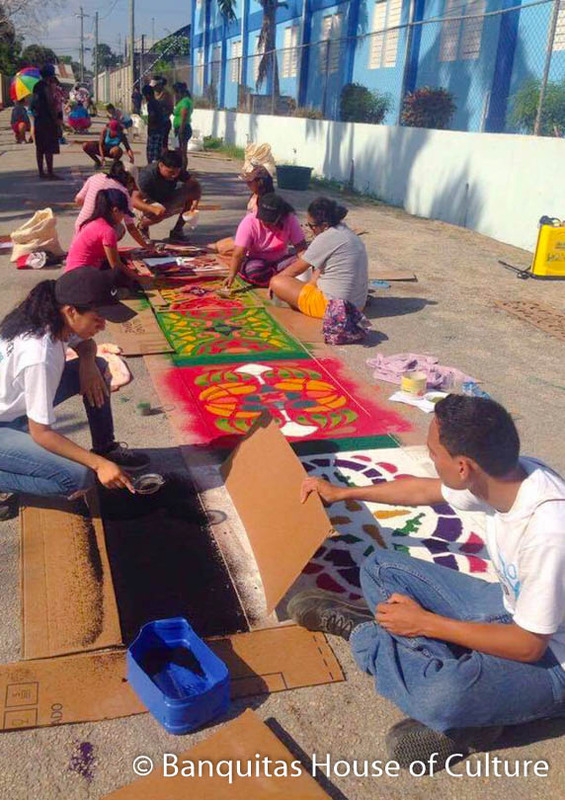 For me, the most beautiful part of this tradition is that it brings a community together to work and achieve one stunning goal!